-- Jason Rovenstine, VP of Gifts and Specialty, DaySpring, Inc.
Bonnie Rickner Jensen does it again with this sweet poetic board book for the little ones. 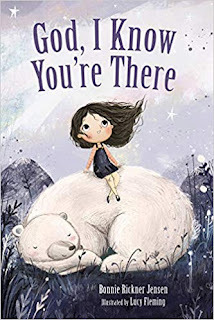 It is not your normal short board book, but yet not too long that your child will not be captivated by the illustrations and the poems that tell the sweet little story of what this little girl knows about. Your child will be delighted to read this book, as will you.